Consumer protection, in particular the prevention of gambling addiction and protection of minors and other vulnerable persons, the channelling of players towards the regulated market, the guarantee of an orderly and fair gambling offering, combatting of fraud and other gambling-related crimes as well as the protection of the integrity of sports are the declared goals of German gambling regulation. While Germany has been known to take a fairly restrictive position towards gambling, gambling – with the exception of online casino gambling – is neither generally prohibited nor particularly encouraged through licensing in German gambling laws. The protectionist approach of the German states over their lottery (and sports betting3) monopoly and years of continued criticism under EU law (which go hand in hand), however, must be seen to be characteristics of German gambling regulation. As a result, gambling regulation in Germany is constantly undergoing some kind of reform usually triggered by a decision from the Court of Justice of the European Union (CJEU) or national courts or intervention on the part of the European Commission confirming that the European fundamental freedoms are not sufficiently ensured, and the regulatory goals cannot be achieved by means of the current regulation and licensing opportunities. However, the European Commission announced in December 2017 that, as a general policy regarding the gambling sector, it would close all pending infringement procedures and complaints. Still, German policymakers are called to act since the problems identified in relation to the current Interstate Treaty regarding compliance with EU law have not yet been resolved. Within the German federal system, gambling law is traditionally regulated at state level. This means that, in principle, gaming is regulated by the respective state law of each of the 16 states. In order to achieve some uniformity, the states agreed on common principles and regulations for certain fields of gambling law in terms of the Interstate Treaty. This includes the sports betting sector, for example, where the state of Hesse was empowered to act on behalf of all 16 German states. Under the Second Treaty Amending the Interstate Treaty on Gambling (the Amendment Treaty), which did not enter into force on 1 January 2018, this responsibility was to be assumed by the state of North Rhine-Westphalia. The attitude of German gambling supervisory authorities to offshore gambling operators (i.e., those who offer gambling products to German citizens but are based outside of Germany) can be considered to be problematic as the German states continually fail to strike a lawful balance when selecting the operators that they intend to enforce against. Ignoring the main goal of German gambling regulation (i.e., to ensure consumer protection), the enforcement activity of German states with regard to offshore operators tends to be targeted at EU-licensed operators for reasons of practicality rather than at operators that do not have adequate licensing or sufficient consumer protection measures in place. Irrespective of the question of how, in light of the fundamental European freedoms, enforcement taken against EU-based and licensed gambling operators can be legally justified in the current situation, the proportionality and consistency of such an enforcement practice can be questioned – an aspect that certain German administrative courts have also identified as a problem, and which may become more difficult as a result of a judgment handed down by the Federal Administrative Court in October 2017, where the legal grounds were published on 13 March 2018 and the court considerably loosened the requirements enforcement authorities have to adhere to. 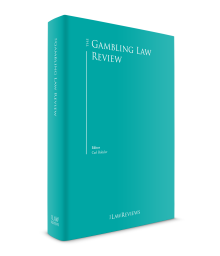 As mentioned in Section I.i, above, the basic legal framework for gambling in Germany is the Interstate Treaty of 2012 – the third attempt of the German states in recent years to create a uniform and EU-law-compliant gambling regulation. The current Interstate Treaty has been subject to criticism from the time it entered into force and the failure of the sports betting licensing process, which was introduced by the current Interstate Treaty and confirmed by national courts and most prominently by the CJEU in the Ince case to be unlawful, finally triggered the reforms that are currently still being dicussed (see Sections VII and VIII, below). Alongside the Interstate Treaty, gambling law is regulated by other state legislation, for example the Gambling Acts implementing the Interstate Treaty, Casino Acts and ordinances. For historic or general reasons, some federal laws also influence gambling, such as the Race Betting and Lottery Act, the Trade Regulation Act, the Criminal Code and the Fiscal Code. Again depending on the product, and specifically the relevance of products that do not qualify as ‘games of chance’ (see Section I.i, above), other authorities, such as the Federal Financial Supervisory Authority, may occasionally be considered the responsible regulator. The Interstate Treaty generally prohibits the operation and brokerage of online games of chance. The only exceptions made by the Interstate Treaty in this context concern sports betting, horse race betting and lotteries. Online casinos therefore are not currently licensable, yet some German state are currently pushing for licensing opportunities to be included as part of ongoing reform discussions. In contrast to online gambling, land-based gambling is widely permissible. While the operation of traditional lotteries is covered by the state monopoly, the operation of other types of gambling can generally be licensed. The current Interstate Treaty provides for a maximum number of 20 sports betting licences to be issued – a restriction that supposedly will be lifted at least to some extent under future legislation. It also has to be determined how this change will impact the limitations on the number of permissible betting shops per operator that are set out in the current state Gambling Acts or other acts transposing the Interstate Treaty, and vary considerably depending on the state in question. Like the limitations on licences, the limitations on the number of permissible betting shops have been criticised for having been arbitrarily determined. For example, Brandenburg allows for 18 betting shops per licensee, Lower Saxony provides for 2,400 shops with a maximum of 500 per licensee and Baden-Württemberg provides for a maximum of 600 shops. The limitations raise further questions when compared with the number of existing lottery ticket sale venues (e.g., about 3,250 in the state of Baden-Württemberg), which the states may be expected to want to protect. The Interstate Treaty imposes a general ban on online gambling. As per the law, exceptions only apply for licensed traditional lotteries, horse racing and sports betting. The Interstate Treaty does not provide for a licensing system for online casino offerings. This situation is criticised by experts of the industry as well as the European Commission. In a pilot process initiated in 2015, the European Commission made clear that it considers the ban ineffective in achieving the goals set out by the Interstate Treaty. However, in December 2017, the European Commission announced that, as a general policy regarding the gambling sector, it would close all pending infringement procedures and complaints. In terms of general requirements that apply throughout all gambling sectors, gambling operators are usually required to demonstrate individual reliability and capability, as well as the transparency and security of their business. A peculiarity of licensing procedures in Germany is the requirement to submit ‘concepts’ (i.e., comprehensive descriptions of the gambling operation to be licensing that cover these aspects), such as a security concept (covering IT security and data protection), social concept (describing protection of minors and responsible gaming measures), business concept (detailing the viability of the operation and projected development over the licence term), sales or marketing concept (of particular relevance for franchising in land-based gambling operations) as well as a payment processing and AML concept (which overlaps with the requirement for internal AML policies under the federal AML Act). b Casino gaming, including slots and table games such as poker, baccarat and blackjack, is licensed under the Casino Acts of the 16 states. Licences may either be issued by the respective state government or a city, but the number of available licences is usually limited by the law. In April 2017, the criminal offence of ‘sports betting fraud’ (i.e., match-fixing) was incorporated into the Criminal Code. Manipulating sports competitions as an athlete or coach – whether related to sports betting or not – may incur criminal liability for a fine or imprisonment up to three years (Section 265c and 265d of the Criminal Code). The type of taxes imposed on gambling operators heavily depends on the gambling product in question and to what extent state legislation will be of relevance. The land-based casino sector acts as a good example in this context. While online casino offerings in some states will be subject to a combination of gross gaming revenue and profit taxation, operators in other German states will have to pay taxes on gross gaming revenue (i.e., the amount by which the total of all stakes exceeds the total of all winnings paid out) while being exempted from corporate taxation. Tax rates range between 20 per cent and 80 per cent depending on the respective state. Additional levies may be imposed or progressive tax rates that depend on the economic capability of the casino operator will be applied. Similarly affected by state legislation, slot machine operators are subject to municipal amusement taxes (tax rates vary from 12–20 per cent and the tax will be based on the gross income generated from the slot machines) that they have to pay in addition to regular corporate tax. Other gambling offerings are subject to federal taxes. Any operator offering licensed or unlicensed sports or horse race betting to German customers, for example, is subject to a 5 per cent federal sports betting tax on stakes. Online casino operators targeting German customers are subject to 19 per cent VAT. There had been some debate regarding the applicable tax base. The Federal Ministry of Finance, however, finally confirmed gross gaming revenue as the tax base in Autumn 2017. In 2017, the legal landscape for gambling regulation in Germany was primarily characterised by a struggle between the German states to find common ground in relation to changing the current Interstate Treaty, which is ongoing, and an important court decision that could have a significant impact on the risk assessment gambling operators have to undertake when targeting the German market. While the prime ministers of the German federal states had originally agreed on a so-called ‘Second Treaty Amending the Interstate Treaty on Gambling’ (the Amendment Treaty) earlier in the year, several state governments over time, as result of changes in their governments following state elections, were no longer convinced that they should ratify the Amendment Treaty in its minimalist (i.e., sports betting-focused) form. 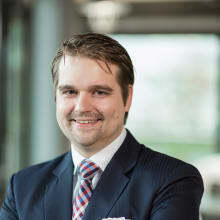 The Schleswig Holstein government had already advocated against ratification in June 2017, arguing that the reforms were insufficient and online casinos needed to be regulated as well. It was later joined by the states of North Rhine Westphalia and Hesse, and the Amendment Treaty was ultimately not ratified by these three states. In order to take effect, the Amendment Treaty would have had to have been signed by all 16 federal states. Reform discussions, therefore, continue. In October 2017, the Federal Administrative Court handed down a judgment that was fully published on 13 March 2018, in which it confirmed the legality of the total ban in light of national and EU law.10 It was already feared that based on a press release issued on 27 October 2017 the judgment could considerably impact on the line of argument relied upon by operators with regard to the European fundamental freedoms to justify their offerings in Germany. In practice, the judgment can also be expected to increase the risk of enforcement action being taken. The judgment, however, turned out to be rather weakly drafted, and is heavily criticised among legal experts for its many flaws and questionable application of CJEU case law. Since the ratification of the Amendment Treaty failed in 2017 and reform discussions regarding a broad reform of German gambling regulation can continue, there is reason to hope that German gambling regulation may actually undergo some positive changes in the foreseeable future. The German states in favour of opening the market and looking at gambling regulation properly will, however, have some considerable work ahead of them to convince the other German states, especially states that traditionally have been anti-online gambling. If no consensus for a broad reform can be found, they may even want to consider pursuing their own gambling regulations as Schleswig-Holstein did in 2012. Yet, discussions are still at a very early stage, and reform discussions could go various ways. A disappointing scenario could result in back-pedalling to only minimalist reforms, yet there are no indicators of this being discussed at the time of writing, notwithstanding the legal arguments that speak against only minimalist reforms as proposed in the Amendment Treaty, which was not ratified in the end. 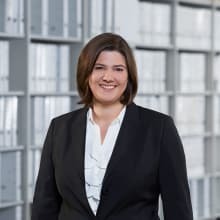 An aspect that could impact on the reform discussions as well as the overall legal environment affecting online gambling operators on the German market, are the legal grounds of the above-mentioned judgment of the Federal Administrative Court, which were published on 13 March 2018. Immediate reactions have so far primarily been limited to criticism, yet we can also expect increased enforcement activity. To what extent the judgment will actually impact on the reform discussion will have to be monitored. Operators and other stakeholders in the industry will, however, be well advised to up their game in terms of lobbying. 9 For more details on the basic advertising standards, see the Advertising Guidelines that were issued by the Gambling Committee, a body consisting of representatives of the highest gambling supervisory authorities in the 16 states. 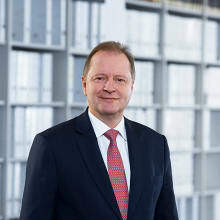 Although the Bavarian Constitutional Court held the Advertising Guidelines to be incompatible with the Bavarian Constitution in a decision of 25 September 2015 (File Nos. : Vf. 9-VII-13; Vf. 4-VII-14; Vf. 10-VII-14), these standards must still be considered relevant for advertising content. In relation to the Advertising Guidelines, the Bavarian Constitutional Court had mainly criticised that these were issued by the Gambling Committee, which arguably is an unconstitutional body. 10 Federal Administrative Court of 26 October 2017, File No: 8 C 14.16/ 18.16.